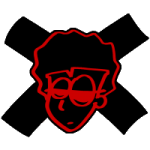 This topic contains 3 replies, has 3 voices, and was last updated by Frederik 2 months, 3 weeks ago. I designed this in Onshape, but ultimately did the CAM in Fusion360 (I really have to switch over). 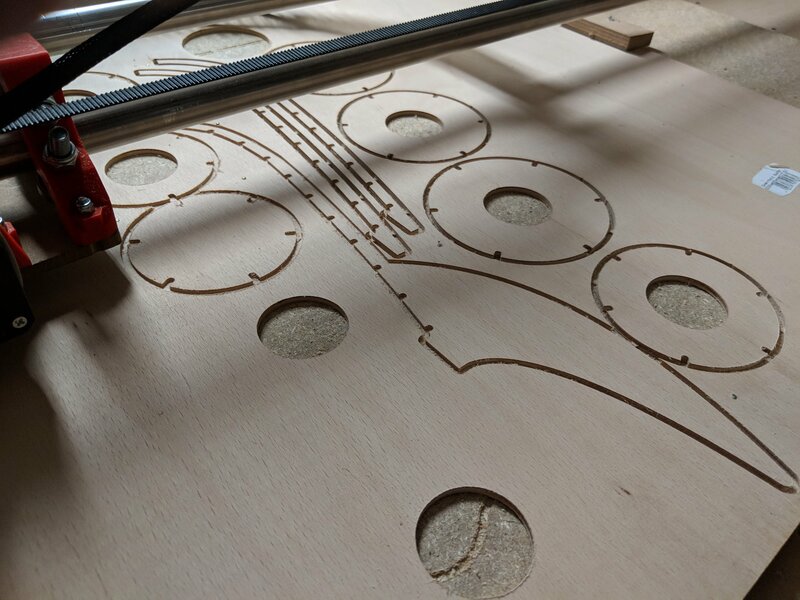 After a couple of years designing things for 3d printing, I now finally can include wood into the mix. I have built a LowRider 2.0 with about 110cmx160cm usable cutting area, but started small on this one. 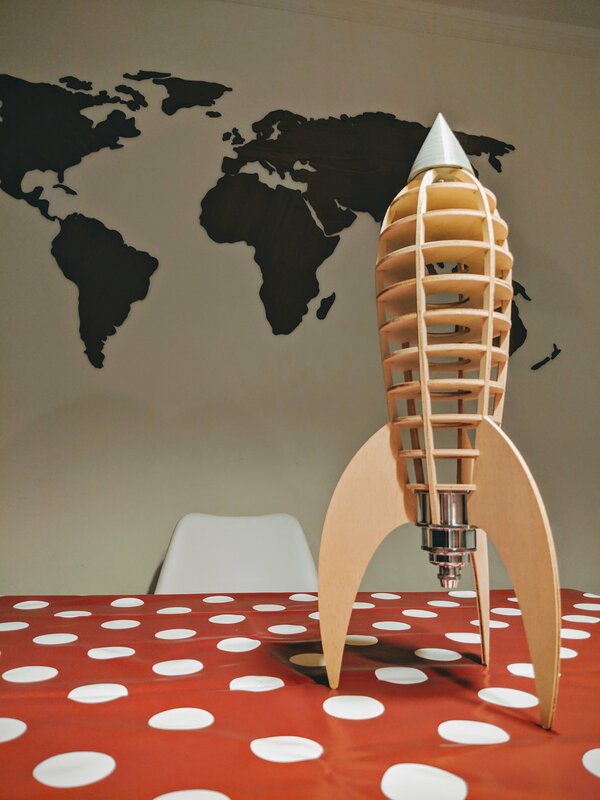 I’m making a rocket lamp for my son. 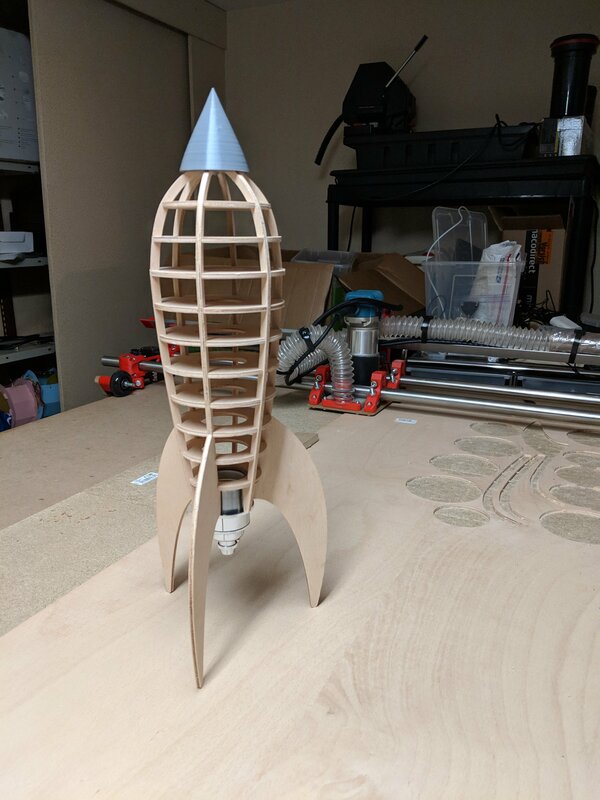 It’s only 4mm plywood, but I was pretty impressed with how sturdy the body of the rocket got after I press fit it together. The nose of the rocket is of course 3d printed. Lol, I do have a few medium format rolls of E-6 that need to get processed, but my new hobby and a move to another continent got in the way. I always dreamed of having an ATL-1000 although I love my CPE 2+. I’m actually in the middle of a project to build an automated film processor repurposing the mechanical parts of my old 3d printer. Once I figure out how to cut acrylic for my development tubs with my lowrider I can get back to it.